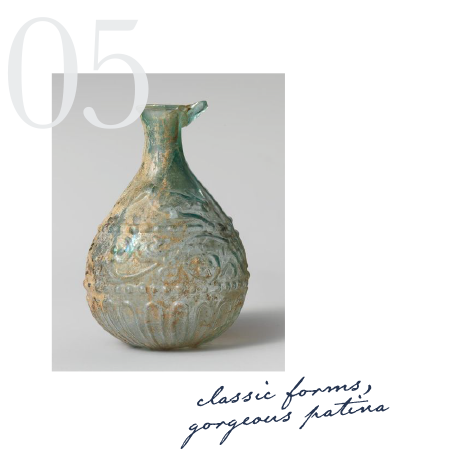 These balmy, breezy midsummer days have us daydreaming about Roman Glass, Mid-century Pottery, and Pheasant-inspired Wallpaper, to name just a few. 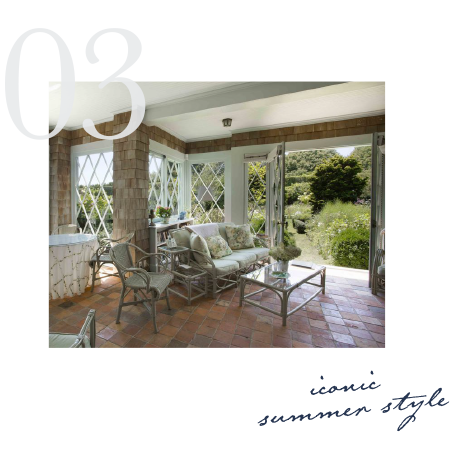 See what’s on our minds this month in our Summer Style Guide. 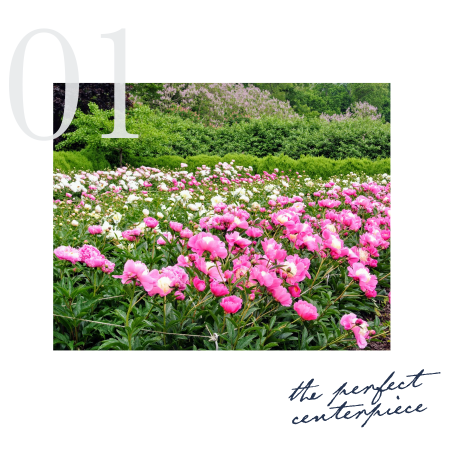 Peonies are full and lush and their bold hues of pink, orange, purple, or peach are just perfect for summertime-inspired pops of color. When it comes to showcasing these blooms, abundance is key. Choose your favorite color and fill every vase you can find. 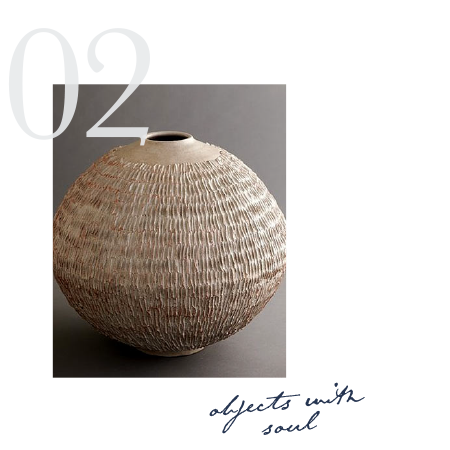 This gorgeous ceramic vessel with etching by Clyde Burt, an American Modernist Potter, originated in 1950. And yet, it has us feeling so inspired today. The East Hampton estate, built in 1897 and made famous by the documentary about the home’s most famous residents, Mother and Daughter Edith and Edith Beale, has been restored once again. It made our summer to get a chance to go through the photos and live vicariously, if but just for a moment. 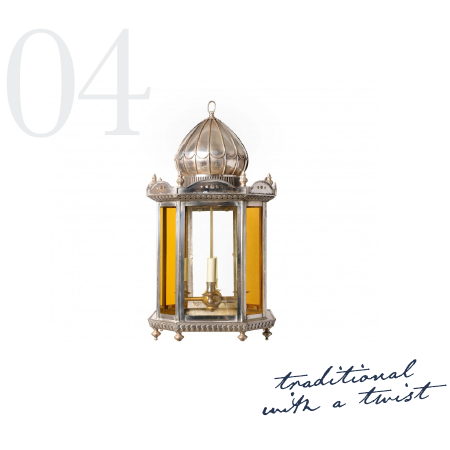 We love the lighting and metal work from Collier Web and this gorgeous lantern caught our eye and kept our attention. It’s a little bit traditional but presented with a modern point of view. Collections of Roman Glass are more than 2000+ years old, and yet they never seem to show their age. The combination of rich color and delicate glass is dazzling. This piece, especially, exhibited at The Met a few years ago, is particularly beguiling with its classic form, beautiful color and gorgeous patina. This pheasant wallpaper by Twigs is breathtaking in both color and detail. 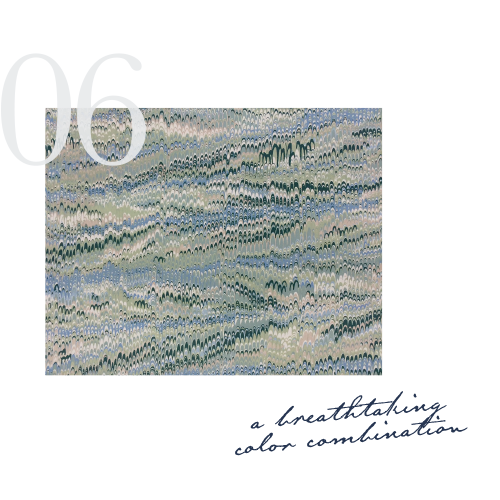 We are especially smitten with the pale blue and celadon color combination. We think that this No. 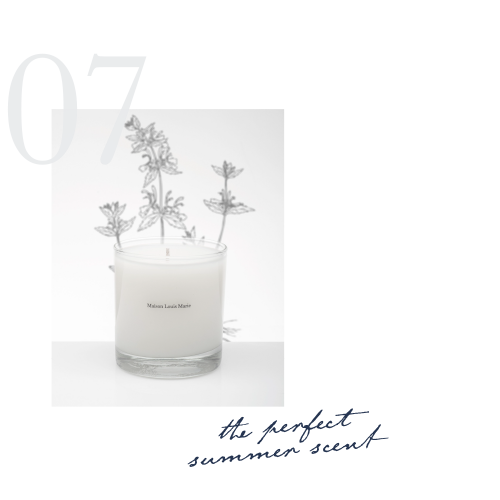 11 La Themis Candle is the perfect summertime scent. With notes of eucalyptus, spearmint, and wintergreen undertones, it’s completely refreshing without being overpowering. We can never resist a copper pot. 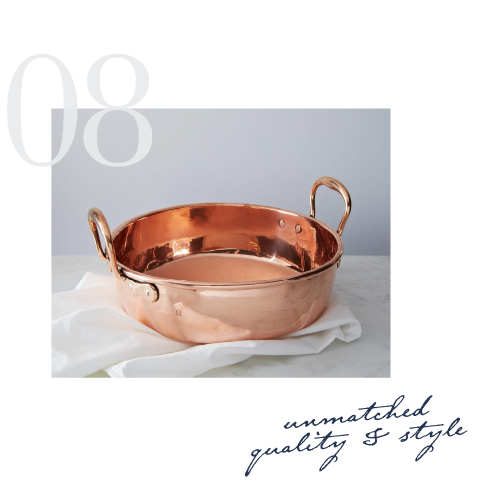 Like peonies, more is more when it comes to styling your kitchen with copper. The best part? These pots aren’t just for show. They’re the best to cook with because of their ability to conduct high heat evenly. You’ll find that they’re unmatched in quality as well as superiorly stylish. 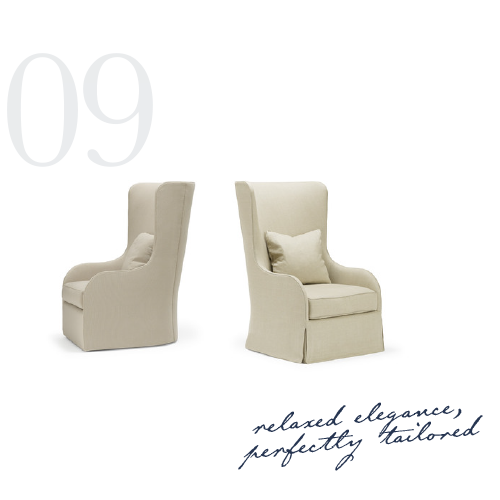 This skirted Paloma chair by Gregorius Pineo is relaxed elegance. Gorgeously tailored and almost architectural in presentation, this is the kind of chair that is both lovely to look at and luxurious to sit in.